Here are some fairly detailed rumours of a couple of quad core.. yes.. four core devices possibly coming out early next year. The Motorola Bullet and Jet seem to be the inevitable next step up from the current high-end dual core devices that we're seeing. If Moto can get these out ahead of the competition then they will certainly have stolen a march on them. The problem with Sony Ericsson.. well, one of the many problems with Sony Ericsson is that it's a pure play mobile phone manufacturer at a time when other manufacturers (apart from Nokia) are branching out into tablets. Given that Sony Ericsson's profit margins are wafer thin, scraping an €11m profit on a €1.1bn turnover, you'd think that a high-margin tablet might be something to give the Japanese / Swedish JV a bit of a boost. 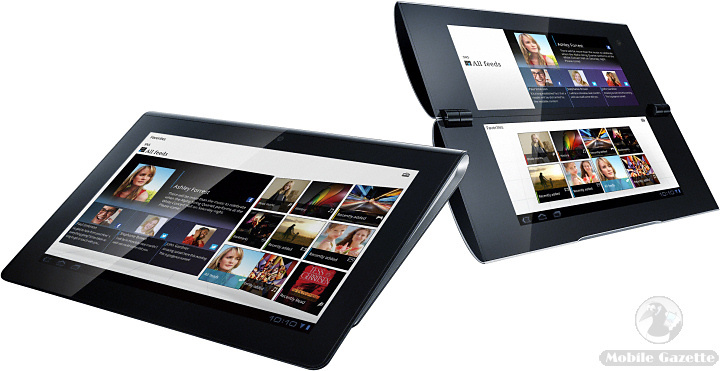 However, Sony seem to have gone it alone with the rather dully named "Sony Tablet S1" and "Sony Tablet S2". Dull though the name may be (and there's a very good chance that it will change when it comes to market), these two gizmos are pretty interesting. The show stealer is the S2 which has dual 5.5" screens with a hinge in the middle.. yup, it's a foldable tablet, although whether or not it will actually sell is a different matter. The S1 looks more conventional from the front, but when you look at the back you can see that there's an unusual design that has shifted the weight to the top of the unit which apparently makes it easier to handle. There's loads of multimedia support on top of the Android 3.0 OS, especially when it comes to integration with DLNA and Sony's online services (when they're not being hacked), and perhaps Sony are one of the few manufacturers that might be able to grow an ecosystem similar to Apple's. These are a long way off yet, Sony say that they will launch in the Autumn, and all the specifications and even the names are subject to change. By that time we might be seeing Android 3.1, and of course Sony haven't even answered basic questions to do with hardware specifications. But they certainly look interesting, and if you're already a Sony fan then they'll probably be on the "must have" list for Christmas 2011. A dual-core 1.2GHz processor, a 4.3" 540 x 960 pixel display, an 8 megapixel camera with 1080p video recording.. is the HTC Sensation the best Android phone to date? Well.. almost, but bear in mind that it's just a 2D version of the EVO 3D. And it isn't likely to be cheap either! Introducing.. the GENESIS tablet, by those folks at GSM Arena. Yes, I do know what day it is. 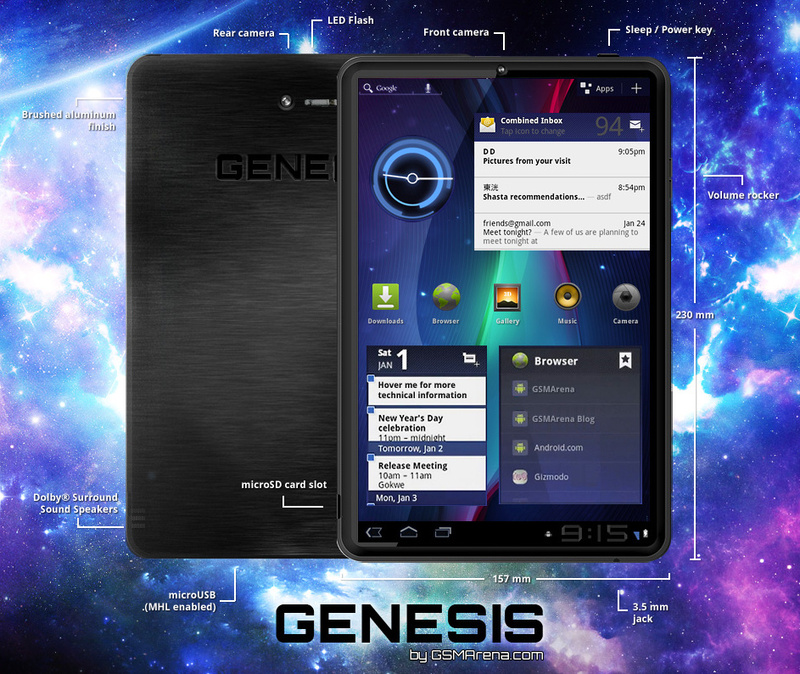 Probably the first tablet to be designed by the writers at a tech site, the GENESIS has some novel features that make it stand apart from the crowd.